Recent advances in the production and manufacturing of thermoplastic pipes are not only leading to substantial financial savings, but it also making significant strides to help save the environment and reduce the environmental impact of piping systems. According to Jan Venter, CEO of the Southern African Plastic Pipe Manufacturers Association (SAPPMA), the local plastic pipes body and its international counterparts have been researching and documenting the environmental impact of plastic pipes, and compared these figures with pipes manufactured from other materials. Results from these studies have proven unequivocally that pipe systems made from thermoplastic pipes have much lower manufacturing and transportation costs, better long-term maintenance and higher recyclability than pipes made from other materials. “The dramatic increase in the size of the world’s population and the corresponding strain this places on infrastructure, has placed the focus on assessing the net impact products have on the environment. This is an aspect that is increasingly driving the global economies and have increased the demand for plastic pipes. From an environmental and economic point of view, engineers are recognising that investing in plastic pipes make sense because it allows them to do a lot more with the same amount of energy or money they would have spent on traditional materials, because as they offer a design lifespan of 100 years,” Venter says. Significant advances made in recent years have improved both the quality and strength of the raw materials that are used for the manufacturing of plastic pipes. This, combined with efforts to optimise the entire manufacturing processes of polymers (plastics) pipe, auxiliary components and the jointing for the delivery of optimised PVC and HDPE pipe systems, has ensured that plastic pipes are recognised for quite literally punching above its weight. “Piping systems are costly elements infrastructure and it is therefore important to evaluate the entire life cycle and energy costs associated with the production, operation and maintenance of plastic pipes,” he said. 1. High recyclability and recovery: Plastic pipe is being recycled on a relatively large scale because of the high value of polymer used in the manufacturing process. Although ductile iron and steel pipes can also be recycled, the energy cost to do so is makes the process considerably more expensive than with plastics. Basic calculations show that the power consumption to recycle plastic pipe is approximately R0.09/kg compared to R0,23 – R0,45 for steel, bearing in mind that many steel pipelines are internally lined with material that first needs to be stripped from the steel. “Plastic pipe is not wasted and therefore does not contribute to environmental pollution. 100% of recycled pipe can be re-used although strict quality requirements set by SAPPMA allow most of it to only be used in non-critical applications”, Venter said. 2. Low amount of energy used to manufacture plastic pipes: In order to quantify and correctly assess the amount of energy that is used to manufacture a material or product, an embodied energy analysis is performed. This involved assessing the overall amount of energy that is needed to extract the raw material, manufacture the products and maintain it. The basic factors that influence the embodied energy of a piping system are include the pipe size, type of material used, durability and design life of the system, the amount of energy required to pump the fluid etc. The results of the tests performed on various different pipes showed that even though the material energy of ductile iron is a lot less than that of plastics in terms of mass (MJ/kg), the picture reverses when the wall thickness and mass per meter are taken into consideration (MJ/m). Similarly, the amount of carbon dioxide that is emitted by the production of plastic pipe is far below that of ductile iron. 3. Lower pumping costs: Energy shortages and high electricity costs are increasingly influencing societies around the world. Considering that approximately 60 % of the world’s electricity is used by electric motors, of which 20 % of this is used for pumping, it has become vitally important to consider the amount of electricity needed to pump fluids through pipelines. Here again plastic pipes have proven to save costs owing to the fact that their walls offer very limited resistance to flow (low friction) and even more importantly, remain virtually unchanged throughout its design life. All of this helps to keep pumping costs to a minimum and saves money on maintenance in the long run. 4. 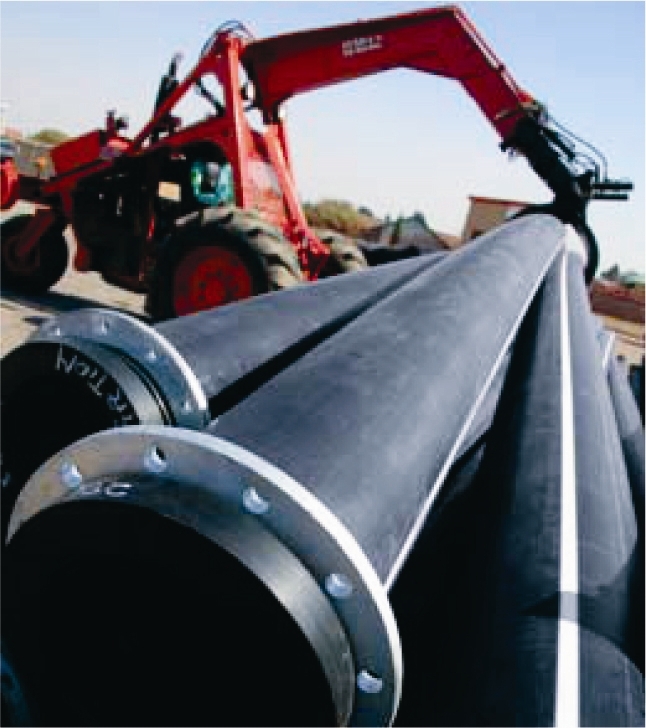 Lower transportation costs: Because plastic pipes weigh much less than steel or concrete, it costs considerably less to transport plastic pipes. As a result, it also has a much smaller carbon footprint and less CO² emissions. 5. Bigger application thanks to new sizes: Plastic pipes are being manufactured in much larger diameters and higher pressure ranges than ever known before. This is an exciting development that is opening up new markets and possibilities plastic pipes that were traditionally occupied by steel pipe market. Through its association with international bodies and fellow plastic pipe associations, SAPPMA is offering the benefits of being linked to best practices in Europe, the Americas and Australia to its members and the rest of the industry. “Globally the plastic pipe industry is in a strong position and continues to grow its market share and influence. In South Africa, there is definitely more potential for growth through creating awareness and understanding of the various materials and combination of offerings that can be used. At the same time, we need to create a stronger pull-through effect by increasing market acceptance that will drive the demand by both the end-user, engineers and specifiers who recognise the significant energy savings and environmental benefits afforded to them by specifying thermoplastic pipes. From our side, SAPPMA will continue to ensure through our memberships that clients are not disappointed with inferior products”, Venter concludes. Independent Tier 1 telco, ICTGlobe, has provided a welcome boost to dozens of ICT sector SMEs (small and medium-sized enterprises) with the recent launch of its reseller portal. Dubbed ‘The Ninja’, the new platform radically boosts the ease of doing business in an important ICT market segment. The ICTGlobe reseller base provides Voice over Internet Protocol (VoIP), Cloud and other key telecoms services to a significant number of South African businesses. “Helping our resellers to lower their cost base through the use of an efficient, single-view online portal has a positive knock-on effect. The ultimate winner is the hard-pressed South African consumer,” says says Riaan van Stryp, ICTGlobe General Manager. ICTGlobe’s new platform is as stealthy and light on its feet as its namesake. ‘The Ninja’ is easy to operate and enables resellers to get on with the business of winning, pleasing and retaining both SME and corporate clients. The powerful yet intuitive portal can provision new client voice and data services in minutes compared to the hours previously required for manual set-up by resellers. Impressive functionality underpins ‘The Ninja’. Resellers can manage their customers, cloud services, voice services, licensing and hardware orders online and in a flash. “Previously, resellers had to log onto several different portals to achieve what can now be done using a single interface. 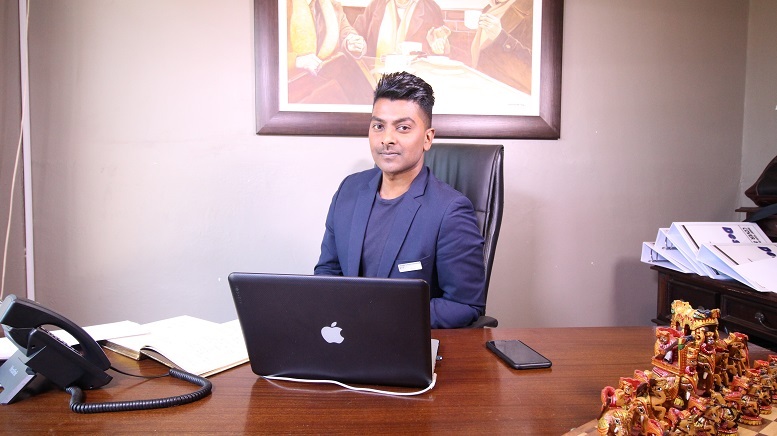 The result was that resellers relied heavily on the ICTGlobe help-desk for manual, human intervention when automation should be the overriding goal in our technology-based sector,” comments Mr Van Stryp. “By giving our resellers full access to ICTGlobe’s entire voice and Cloud infrastructure through ‘The Ninja’, we’ve now achieved a level of automation that means resellers can direct the lion’s share of their energy towards building and maintaining their revenue-generating customer bases,” Mr Van Stryp says. New customers or services can be operational in minutes with full technical and billing support, he adds. “South Africa is ranked by the World Bank at a respectable 82 amongst 190 countries for ease of doing business. Smart ICT investments can see us climb the rankings much faster and ‘The Ninja’ is ICTGlobe’s latest contribution to our country’s ICT infrastructure,” concludes Mr Van Stryp. As a Tier 1 operator, ICTGlobe owns its telecoms network meaning it has full control over roll-out and maintenance of this core asset. Operating its own interconnect and networking facilities means ICTGlobe can reliably offer voice calls at the country’s most affordable rates. Finally, 3CX distribution rights for Africa complement ICTGlobe’s guaranteed uptime voice and data services.